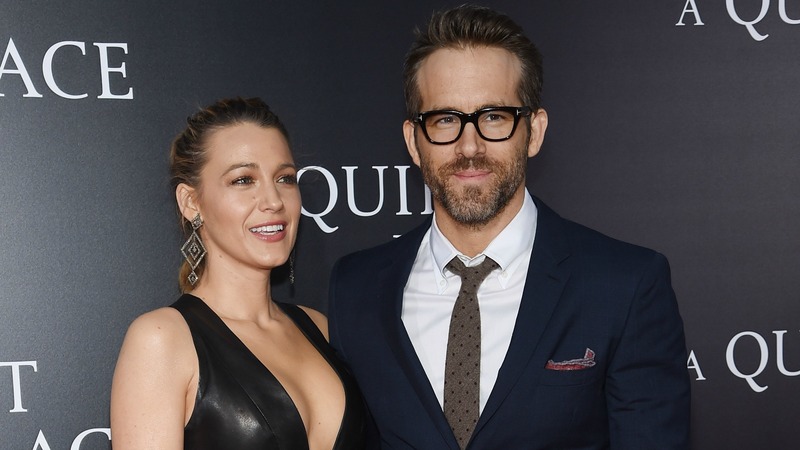 Hollywood power couple Blake Lively and Ryan Reynolds took a break from trolling each other on Twitter long enough for a date night on Saturday. But it wasn't just any date night. The ridiculously cute couple attended a Taylor Swift concert, where they proceeded to nerd out in true parental fashion over a special cameo by their daughter, James. Or, to be more precise, James’ voice. Brief backstory: Last October, Swift released a song called “Gorgeous” featuring a child’s voice saying “gorgeous” in the intro. It would soon be revealed that the sweet voice heard on the track was James, 3, the eldest offspring of Lively and Reynolds. So, the pair did what any other self-respecting parent would do: They made the trip to Swift’s show at Gillette Stadium in Foxborough, Massachusetts, to document their daughter’s big debut. The moments leading up to James’ voice blaring out over the loudspeakers were caught on camera and, not surprisingly, shared on social media. In a short video clip, Lively can be seen excitedly waiting for James’ audio — whipping out her phone in anticipation to record the couple’s excitement. When James’ voice blasts through the stadium, Lively and Reynolds prove they’re just like the rest of us as they essentially geek out over their little girl’s big moment. The couple, who watched the show from the front row, was also captured cheering Swift on and engaging in some mild PDA. Also watching from the front row? Another one of Swift’s famous friends, Gigi Hadid. Per Marie Claire, Lively and Reynolds’ friendship with Swift stretches back several years and includes very Swift-ish exchanges, including Swift inviting Lively to her now-infamous July 2016 Fourth of July party and Lively gifting Swift a marzipan pie featuring Swift’s beloved cats. It remains to be seen whether young James’s debut will serve as the catalyst for a future career in music. Or, for that matter, whether Lively and Reynolds’ 1-year-old, Ines, might pop up on a future Swift track. But, you know, here's hoping.